TOKYO, Apr 23, 2018 - (JCN Newswire) - Two of Mitsubishi Motors' latest creations - the Eclipse Cross SUV and the GT-PHEV Concept - have received GOOD DESIGN(1) awards from experts at The Chicago Athenaeum. 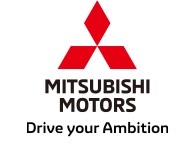 The awards are an indication of the success of Mitsubishi Motors design renaissance which has seen a new looks for the face-lift for the Outlander, a string of acclaimed concept cars, and an all-new Eclipse Cross. The GOOD DESIGN awards are the oldest and the most prestigious Global Awards Program for Design Excellence and Design Innovation. Organized by the Chicago Athenaeum Museum of Architecture and Design, they are intended to create an awareness of contemporary design and to honor both products and industry leaders in design and manufacturing. GOOD DESIGN was founded in Chicago in 1950 by architecture and design legends Edgar Kaufmann, Jr., Eero Saarinen, and Charles and Ray Eames. "It is an honour to have our hard work recognized by such a prestigious organization," said Tsunehiro Kunimoto, CVP of the Design Division at Mitsubishi Motors. "The Eclipse Cross is the first all-new car which features our Robust and Ingenious design philosophy. The GT-PHEV Concept hints at how this direction will shape the next generation of Mitsubishi SUVs." The Eclipse Cross is a fusion of sharp coupe looks and dynamic SUV mobility with signature Mitsubishi styling, technology and driving confidence. It features Mitsubishi's signature DYNAMIC SHIELD front design concept, with a protective shield shape visually formed by the black central area and chrome accents. The rear design is distinguished by the almost cubist styling created around the high-mounted, stretched rear lamps and a horizontally divided rear window. The MITSUBISHI GT-PHEV Concept, first seen at the Paris Motor Show in 2016, also features Mitsubishi's latest design language together with MMC's advanced and proprietary electric and all-wheel control technologies. In its overall design, the MITSUBISHI GT-PHEV Concept projects the image of a "ground tourer", expressing robust and ingenious qualities. "The GT-PHEV is not a production car. But it gives a clear indication of how Mitsubishi's design language will evolve into cars you will be able to buy in the near future," said Kunimoto. "I hope our work to bring Robust and Ingenious designs to fruition will continue to be recognized." (1) GOOD DESIGN is a Federally Registered and Protected Trademark of The Chicago Athenaeum.